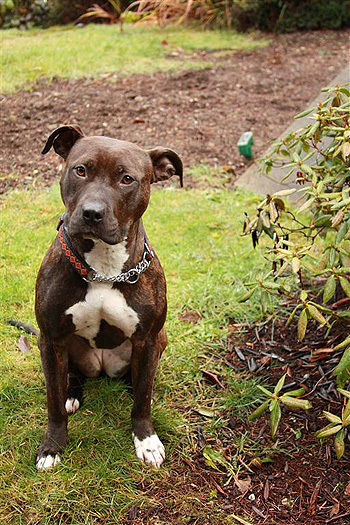 StubbyDog recently chatted with Amanda Walde with the Seattle Humane Society about the shelter’s promotions and programs for pit bull type dogs. 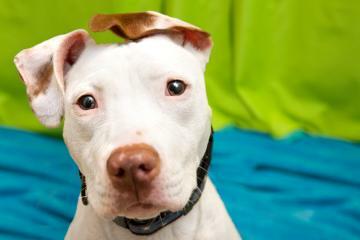 Q: Can you tell us about any of your shelter’s programs that help pit bulls get adopted? •	Adopt a pit bull one year and older and receive 50 percent off the normal adoption fee and a free starter kit including a collar, leash, food bowls, a toy and a brush! •	Adopt a blossoming bully younger than one year and receive a free starter kit including a collar, leash, food bowls, a toy and a brush. Q: Why do pit bulls need extra help getting adopted? A: Media attention on “dangerous dogs” and irresponsible owners makes it difficult for shelters to place loving pit bulls in homes of their own, increasing the number of dogs killed in shelters. Our goal is a humane and civil society, where people and pets are safe – including pit bulls and other breeds that have been unfairly targeted as dangerous. Pit bulls are incredible dogs that, like all other breeds, require consistent training and both mental and physical stimulation. They are very intelligent dogs that thrive in obedience and agility classes. 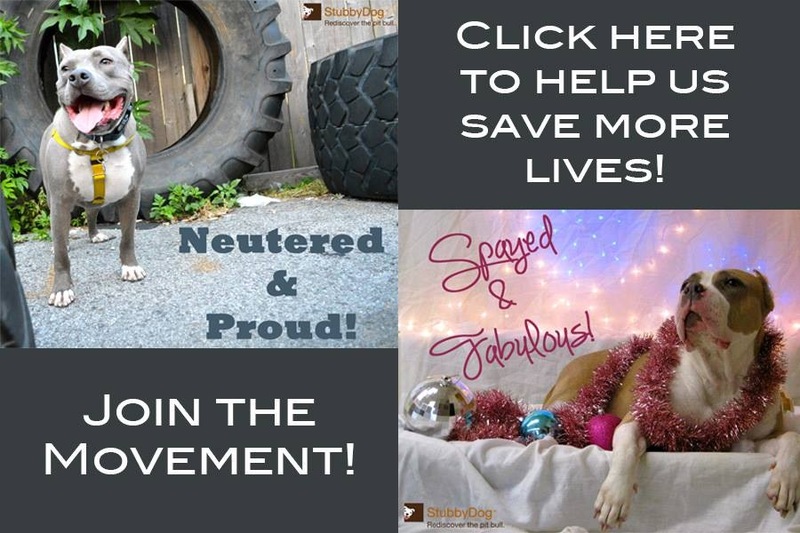 Q: Have your programs to help get pit bulls adopted been successful? A: During the “Pick-A-Pitunia” promotion we adopted out 15 pit bulls, a record-breaking adoption month number for pit bulls in the history of our shelter. Q: Do you have a particular success story you can share? A: Sarah Curtis adopted Kelsie, one of long-timers who was with us for two years. Here’s her story! A: Every pit bull in our care has been temperament tested, health checked, spayed or neutered, vaccinated and comes with six weeks of obedience training. Thanks to a generous $77,200 grant from PetSmart Charities, Seattle Humane Society is providing free spay and neuter surgeries to pit bulls and mixes in King County. The surgery package also includes free vaccinations and $5 microchips. This is another AWESOME story! This sums up what The Pretty Chic with the Pits stands for! The definition behind our name is show the softer side of pit bulls considering over 90% if not more women take of these wonder, loveable & adorable bully breed! It’s great that they are making an effort to adopt out pitbull-type dogs, but the lowered adoption fee worries me. Wouldn’t want animal abusers to “adopt” these dogs just because they’re cheaper. I hope the screening process is very thorough. @Rebelwerewolf I understand your concern and we hear that a lot when we run special programs here in Utah, but research shows when you have a good application and adoption counseling process, it shouldn’t matter if your adoption fees are $5 or $500, it is a great tool to use as a promotion and can get new adopters into the shelter. We run many similar specials here in Salt Lake City, not only for pit bull type dogs, but for cats and kittens as well, and our screening remains exactly the same as it always does; a good applicant is a good applicant, and sometimes you just have to try a new way of promoting adoptables to increase your reach to good possible homes.